Can SDR (selective dorsal rhizotomy) help my child's cerebral palsy? A surgical procedure known as selective dorsal rhizotomy (SDR) can help improve the challenges and negative side effects of cerebral palsy. When a child has a selective dorsal rhizotomy, nerves that lead to and from spastic muscles in the legs are carefully tested by medical staff. The nerve branches that are abnormal are cut by the surgeon. The goal of SDR is to permanently relieve spasticity in the legs. Young children have a better ability to make the most of the reduction in spasticity, increase leg strength and learn new movements in order to increase function. Children undergoing this surgery must do intense physical therapy after the surgery in order to obtain maximum benefits. Selective dorsal rhizotomy is one of the newer treatments for spastic cerebral palsy, and many physicians have called it groundbreaking. 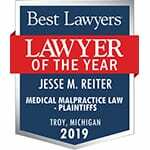 Reiter & Walsh ABC Law Centers is one of the only medical malpractice law firms in the world that exclusively takes cases related to birth injury and birth trauma. Our birth injury attorneys can help you and your loved one obtain compensation for important treatments, surgeries, and resources. To start your free case review, contact Reiter & Walsh ABC Law Centers in any of the following ways. 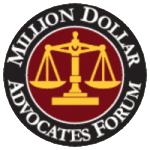 You will never pay any fees until we win or settle your case in your favor.